In today’s world where computer and internet technology plays an important role in the government system, Municipality is no different. 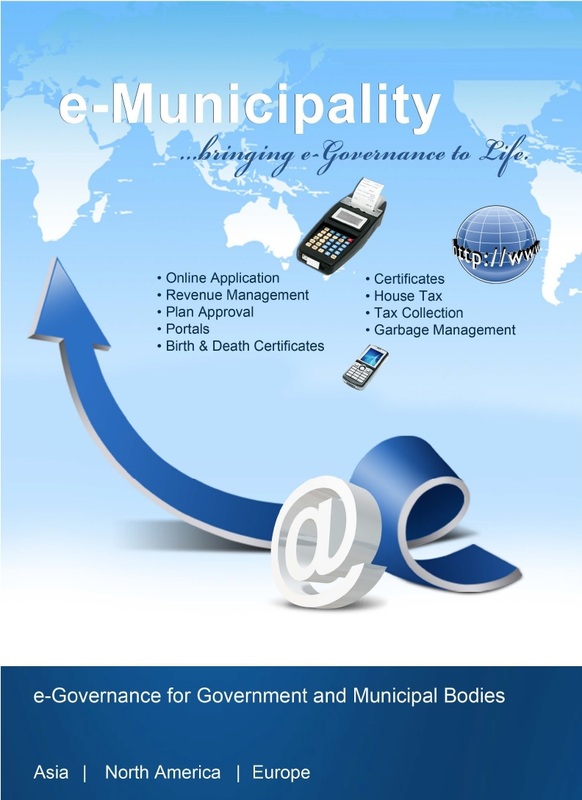 The conventional manual and paper based system which is still being followed by almost 70% of the municipalities all over the world are slow and inconvenient leading to difficulties in revenue generation and timely completion of project works undertaken by the municipalities for the development of Cities & Towns. No proper coordination between the municipality management departments as data is offline. Huge potential for data Manipulation and human errors. The data maintained in excel spreadsheets is inconsistent. Search and retrieval of Data becomes difficult. The process of generating reports becomes problematic and time. The flat revenue loss of 50% in each of its revenue department Tax Collection. There is no timely record maintained of the revenue generated. Spot billing with Revenue Management System. Web based system for House Tax, Property Tax, Local Body taxes, Garbage Collection Tax. Handheld Spot billing electronic machines with electronic bill generation Payment collection. Online Trade License/Advertisement Management system.